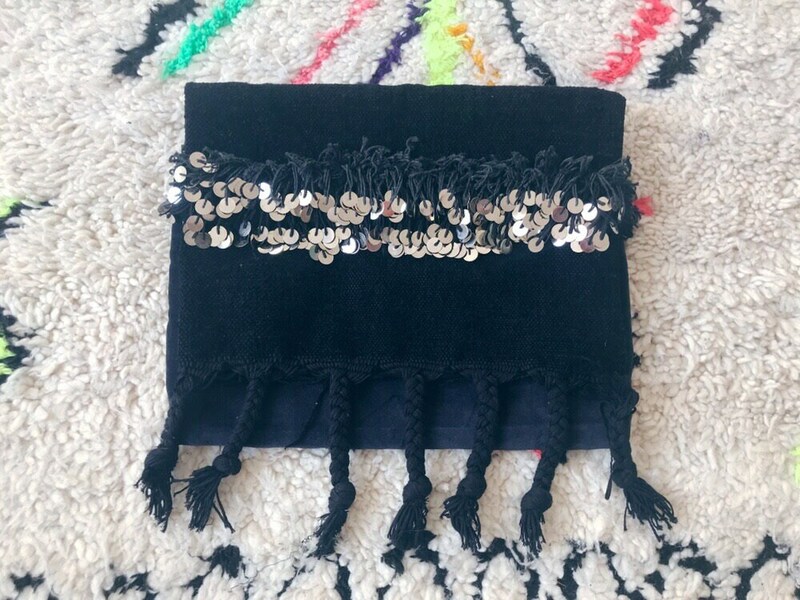 Very cool and unique large clutch bag made from a black Handira Moroccan Wedding blanket from the souks of Marrakech. 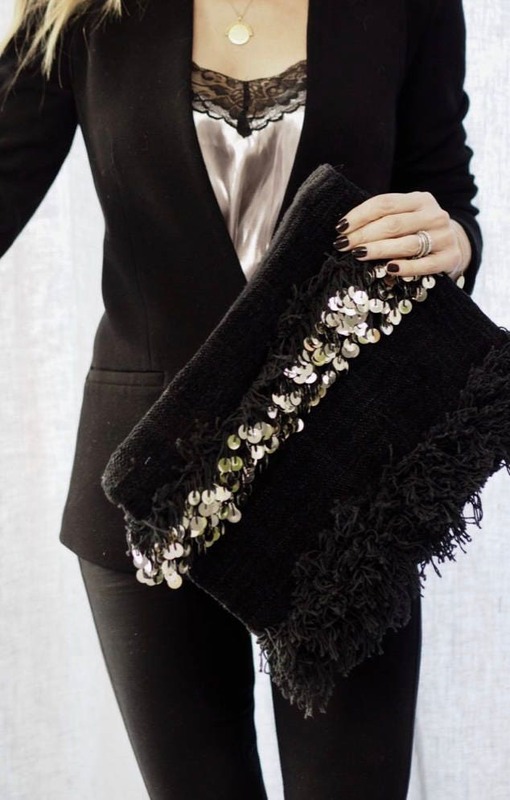 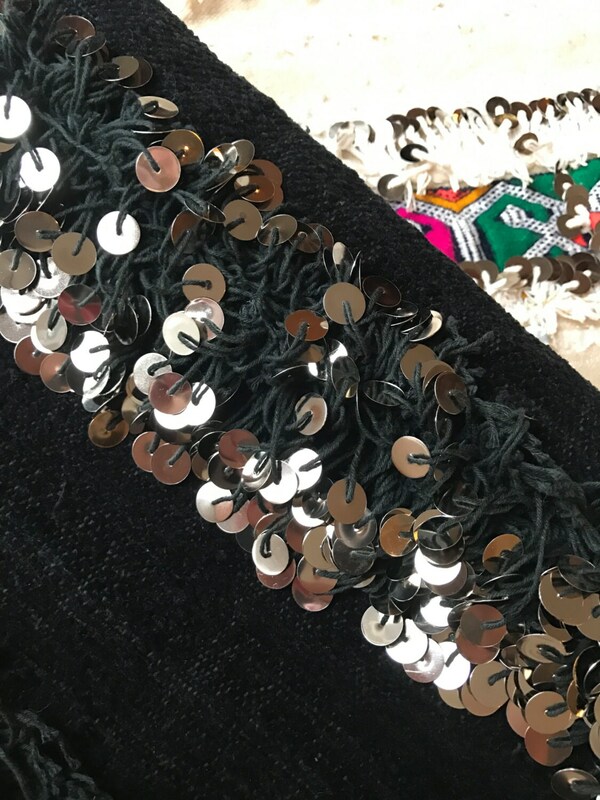 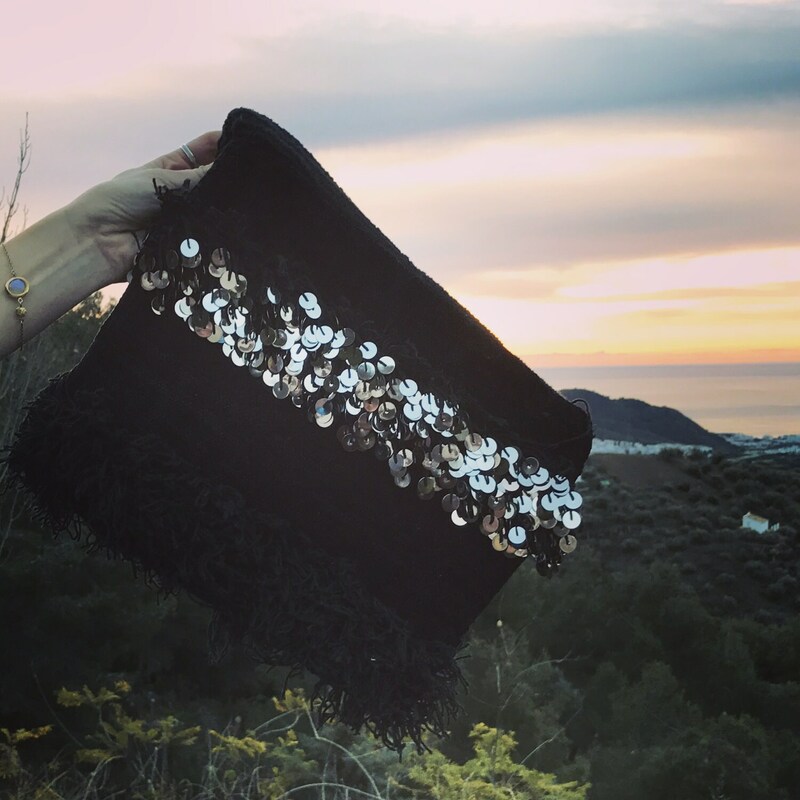 The bag is made using an original Handira, embellished with silver metal sequins. 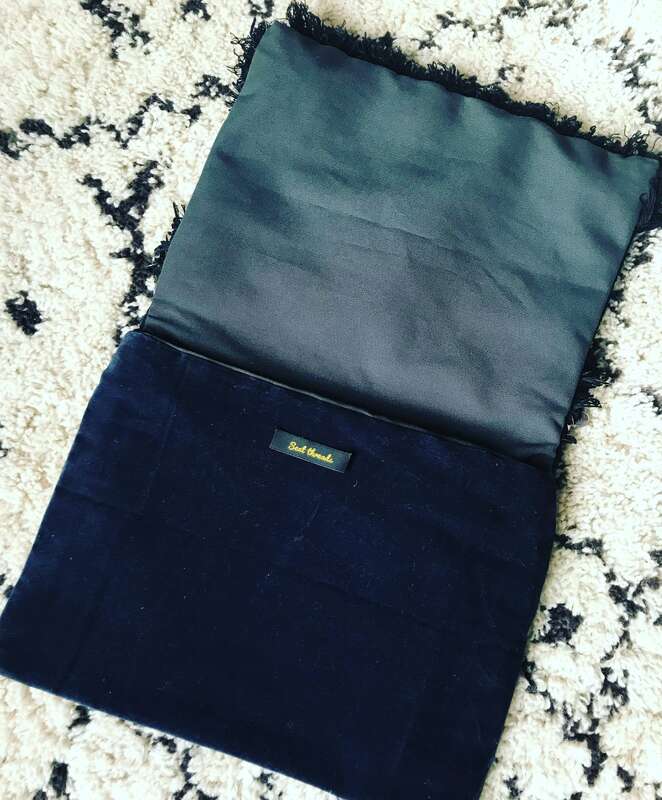 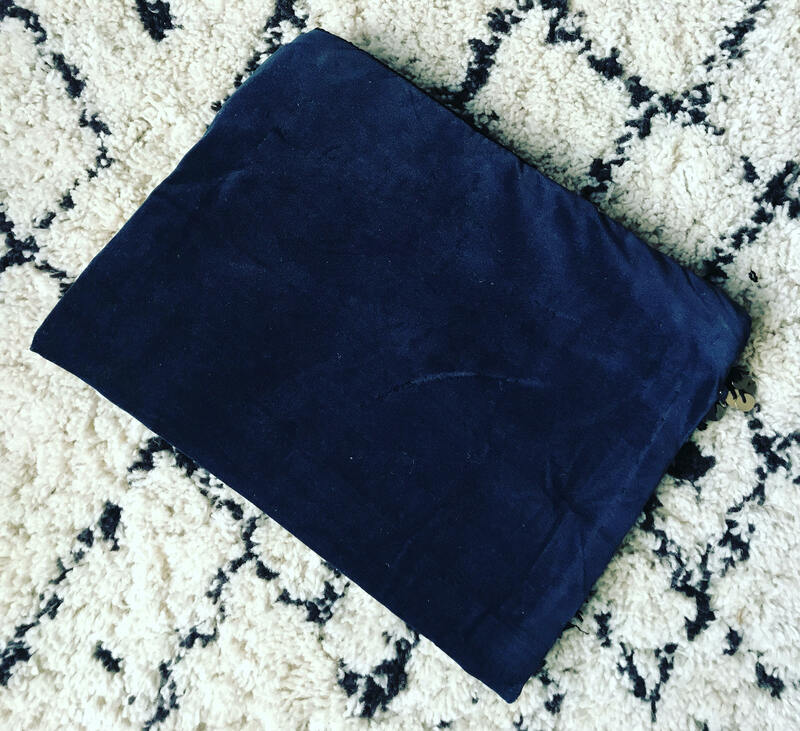 The bag is handmade and backed with a dark navy velvet. 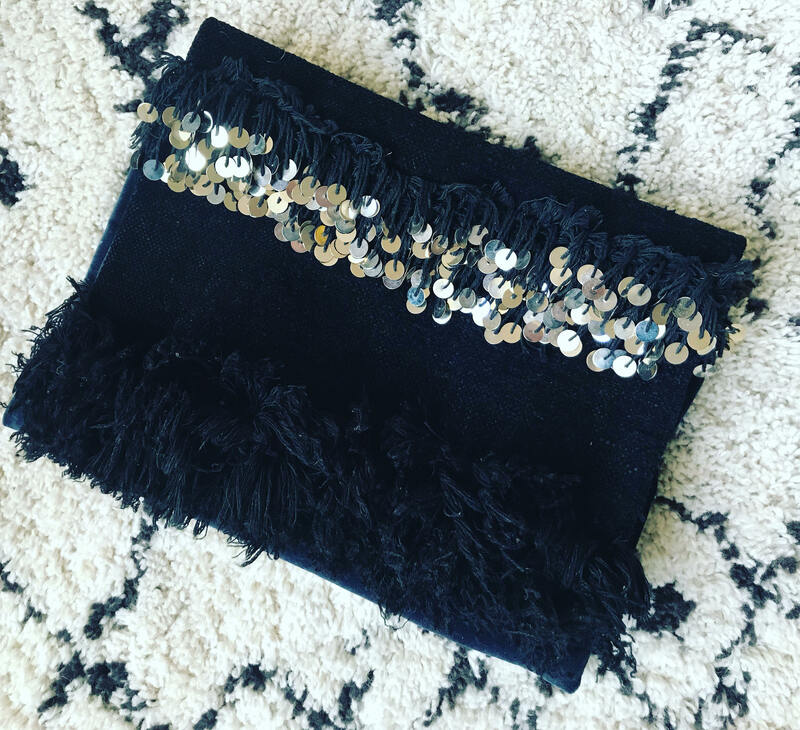 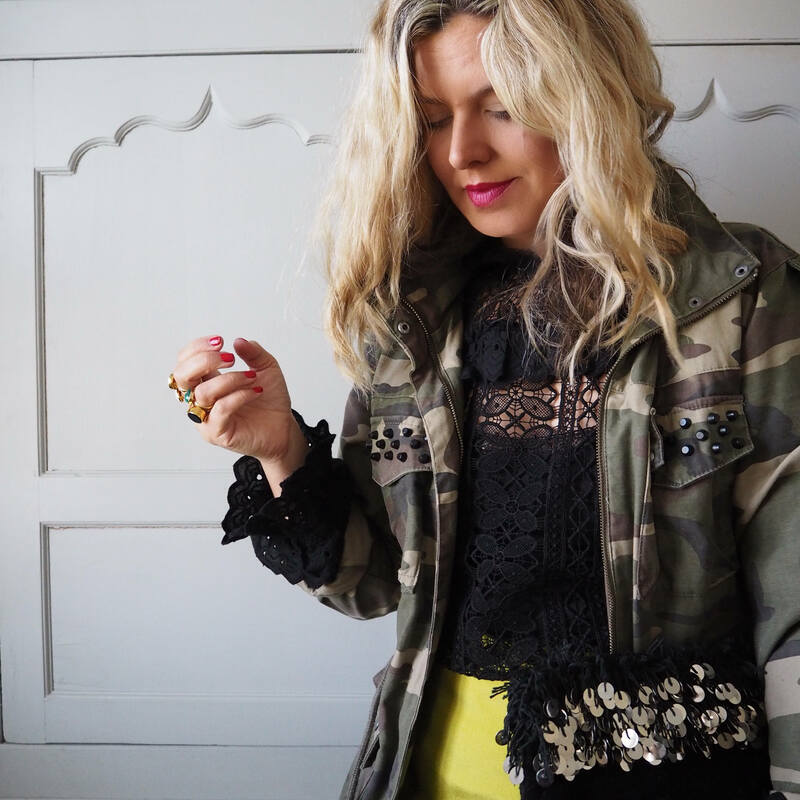 The perfect accessory for evening events & festivals.